Release Date:11/03/2017;Notes:Limited double 180gm audiophile vinyl LP pressing in gatefold jacket. John Hiatt, who the Los Angeles Times calls '... one of rock's most astute singer/songwriters of the last 40 years' has built a steady body of work, which more than earns to be captured on this Collected album. Hiatt, a master lyricist and satirical storyteller, weaves hidden plot twists into fictional tales ranging in topics including redemption, relationships, growing older and surrendering, on his terms. 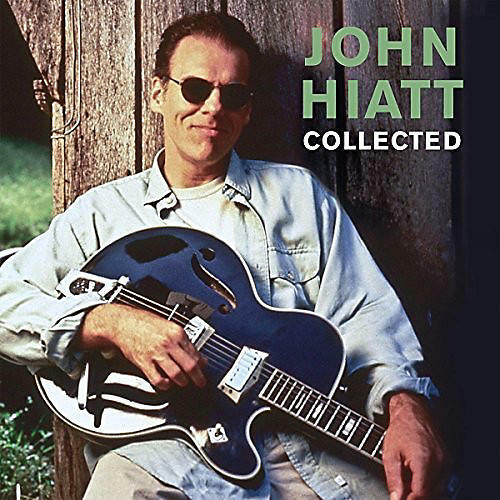 His tracks are musically rooted in acoustic blues, accentuated by Hiatt's soulful, gritty voice, which mirrors the gravity of his reflective lyrics. Many of his songs are commercially successful covered by other artists but that doesn't mean he doesn't have a voice. He does, and while he sings fine, his real voice is in the songs themselves, which are frequently brilliant. A fine example is 'Have A Little Faith In Me' one of his signature songs, which was sung and written by Hiatt following his sobriety from drugs and alcohol. This Collected set captures his many highlights, think 'Memphis In The Meantime', 'Georgie Rae' and features tracks from his early days up to his critically successful days in the '80s and '90s and beyond.